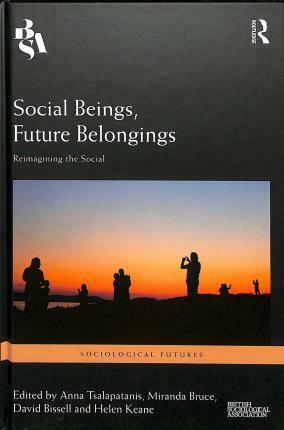 Social Beings, Future Belongings is a collection of sociological essays that address an increasingly relevant matter: what does belonging look like in the 21st century? The book critically explores the concept of belonging and how it can respond to contemporary problems in not only the traditional domains of citizenship and migration, but also in detention practices, queer and feminist politics, Australian literature and fashion, technology, housing, and rituals. Drawing on examples from Australia, Europe, the United Kingdom and the United States, each topic is examined as a different kind of problem for the future - as a toil, an intensity, or a promise. Ultimately, the collection argues that creating new ways to belong in contemporary times means reimagining the traditional terms on which belonging can happen, as well as the social itself. Read on their own, each essay presents a compelling case study and develops a set of critical tools for encountering the empirical, epistemological, and ontological challenges we face today. Read together, they present a diverse imagination that is capable of answering the question of belonging in, to, and with the future. Social Beings, Future Belongings shows how belonging is not a static and universal state, but a contingent, emergent, and ongoing future-oriented set of practices. Balancing empirical and theoretical work, this book will appeal to researchers, students and practitioners alike. 5. Belonging in the Future? "This compelling collection reimagines belonging, the social and our futures together, adding layers of complexity while providing rare clarity. It succeeds in rethinking belonging in the context of the pressing challenges for living together that currently face us. Few sociological tasks are as important." "In a markedly divisive historical moment, this collection of essays on belonging is a welcome intellectual project. Together and independently, the chapters clarify how belonging, a basic element of social life, takes surprisingly complex and multiple forms. From the minds of emergent scholars, this work is both engaging and theoretically sharp." "This timely and exciting collection critically and creatively reframes the nature, discourse, practice and experience of belonging in a time of unprecedented social and material flux. It beautifully and artfully draws on nuanced theoretical insights and empirical case studies from different regions to make a persuasive case for why belonging has become a central social category and political framework in contemporary times. Asking questions of what belonging means, and how it is constantly being transformed by social relations, the book explicates the governance, situatedness and politics of belonging. This collection, authored by some of brightest lights in the discipline of sociology and science and technology studies, is sure to become an essential read for those interested in the human and non-human affects of an unfolding socio-material world that is characterised by explosive geo-physical, political economic and techno-cultural motions." Anna Tsalapatanis is a Postdoctoral Researcher at the Centre for Socio-Legal Studies at the University of Oxford. She received her PhD in Sociology from the Australian National University and her research interests include citizenship as status, bureaucracy and identity. Miranda Bruce is a PhD candidate in the School of Sociology at the Australian National University, writing on the Internet of Things: its history, discourse, logic, and implications for how we understand time, technology and the future. She has published in the Australian Humanities Review and developed and convened advanced university courses. David Bissell is Associate Professor and Australian Research Council Future Fellow in the School of Geography at the University of Melbourne. He is author of Transit Life: How Commuting is Transforming our Cities (2018), and co-editor of Stillness in a Mobile World (2011), and the Routledge Handbook of Mobilities (2014). Helen Keane is an Associate Professor in the School of Sociology at the Australian National University in Canberra, Australia. Her research focuses on drug and alcohol use, including pharmaceutical, recreational and illicit drugs (and the relationships between these categories and forms of use). She is the co-author of Habits: Remaking Addiction (2014) with Suzanne Fraser and David Moore.